Intel released Intel Atom x86 image for Android Ice Cream Sandwich and available for everyone to download from their website manually or install in Android SDK Manager. Having Intel Hardware Acceleration Execution Manager (HAXM) installed and enabled GPU acceleration, the Intel build Android 4.0.4 x86 emulator image for AVD (Android Virtual Device) crashes on my 8GB RAM, dual core i5 system. I don't know what went wrong as I have successfully ran ARM EABI v7a System Image using same setup. So it probably requires much higher performance system. Oh well, here's how to setup Intel Atom x86 Android ICS on Android AVD. There are 2 ways to install Intel's Android and Intel HAXM - A) Install via Android SDK and B) Intel's website. Expand Extras folder, and check Intel Hardware Accelerated Execution Manager Note: Intel HAXM installation will failed if your system doesn't meet the requirement, including lack of support for Intel Virtualization Technology (VT). The status message states is 4 RUNNING means Intel HAXM is working. If it isn't, navigate Android/android-sdk/extras/intel/Hardware_Accelerated_Execution_Manager then double click on IntelHaxm to install. Download and install Intel HAXM Note: Intel HAXM installation will failed if your system doesn't meet the requirement, including lack of support for Intel Virtualization Technology (VT). The status message should states 4 RUNNING which means Intel HAXM is working. Extract the Android x86 system image (x86 folder) to Android/android-sdk/system-images/android-15 Note: If the directory path above doesn't exists, just create /system-images/android-15 folder and extract x86 folder there. Setup finished. Now click Start... to start your Intel Android. Let me know if Intel's Atom Android x86 works for you. So far, Buildroid is still my favourite Android on Computer. So it probably requires much higher performance system. 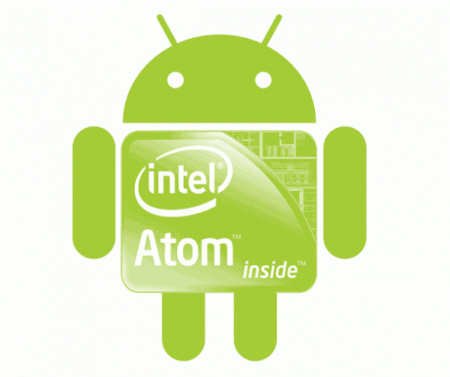 Oh well, here's how to setup Intel Atom x86 Android ICS on Android AVD.